The Two Sides of Ana: Episode 38 | TeleNovela Channel - Bringing you closer to lifes drama. 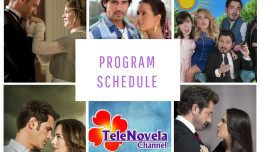 Tina recriminates Javier for choosing his wife over her while Irene tries to put Claudia against Ana. Meanwhile, Rafael tells Vicente that Ignacio is back on drugs while Ignacio assertively kisses Ana in an elevator.